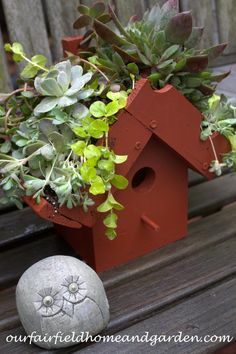 For about a year, I have been admiring those bicycle planters on Pinterest and Hometalk and wanting to make one for our garden. Finding the bike was the hardest part! Then my friend, Renee’, bought a fancy new bike and gave her still usable one to another friend, Suzie. Long story made short: I now had Suzie’s old junker, which was perfect for my project! 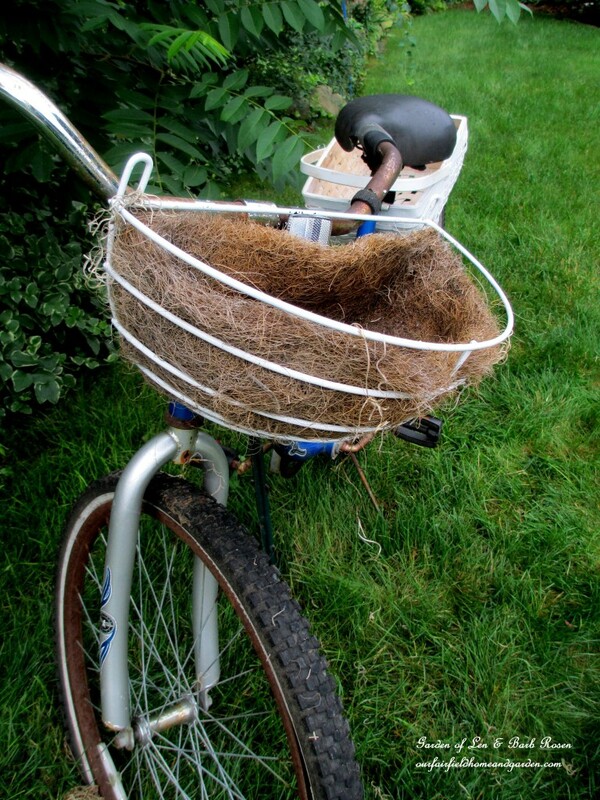 This old Huffy did not have any baskets, but I had a wire half basket and a woven basket in my shed. A little white spray paint later, they matched and were ready to go! The plants were the only thing I didn’t have on hand, so at three for five dollars, this project was done for just ten dollars! 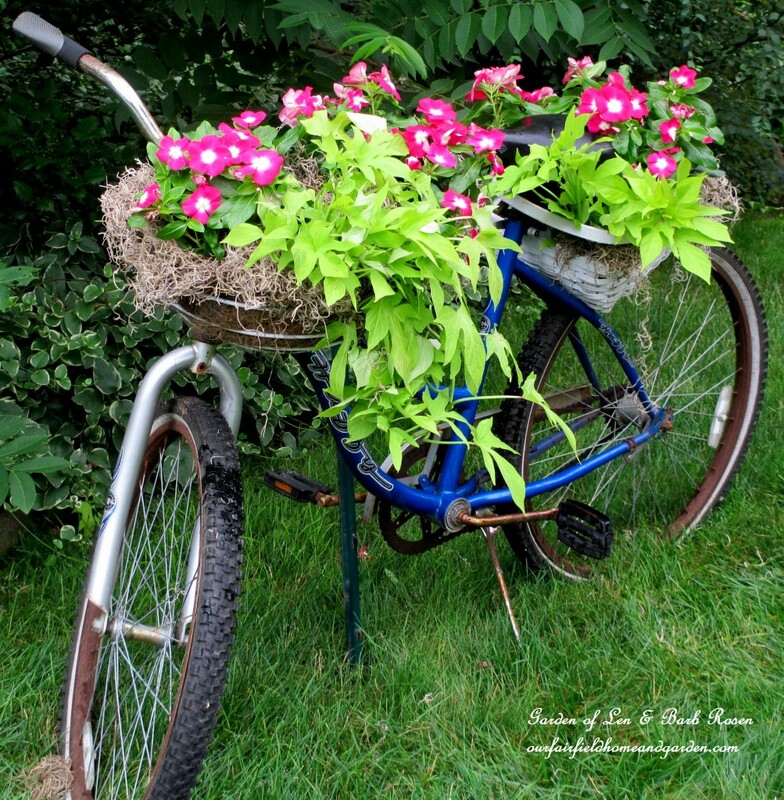 Follow the easy pictured steps to create a bicycle planter of your own! This one is drawing lots of compliments parked in our front garden, and I can switch out the plants to keep this planter colorful and seasonal! 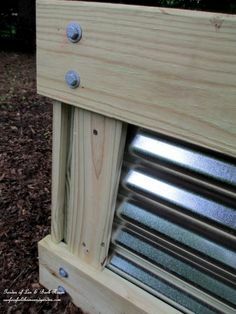 *Note – put the metal rod or fence piece support in first. I didn’t and it was more difficult to hold the planted bike while hammering it in at the end. 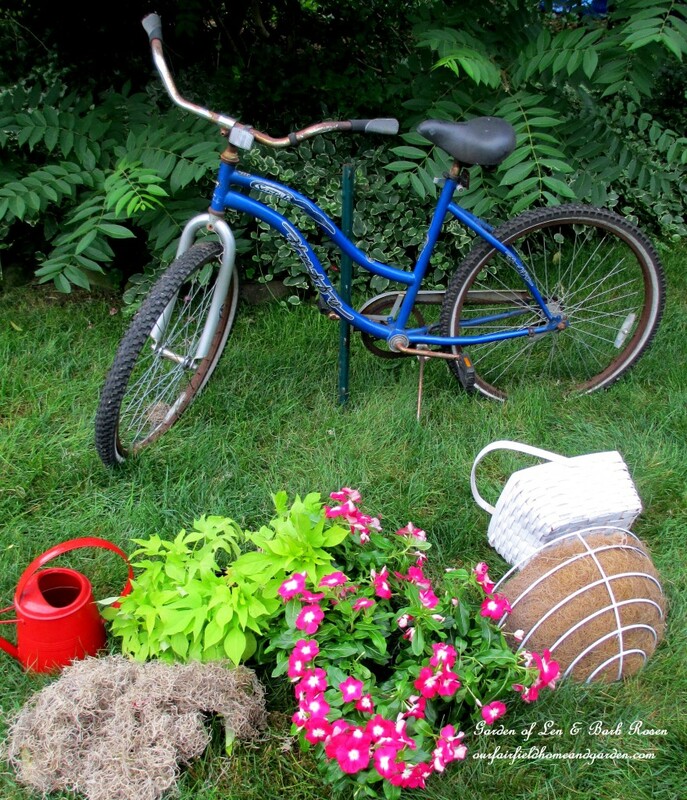 Assemble the materials ~ two baskets lined with plastic bags, plants, dried moss and an old bike supported by a metal rod or fence post. 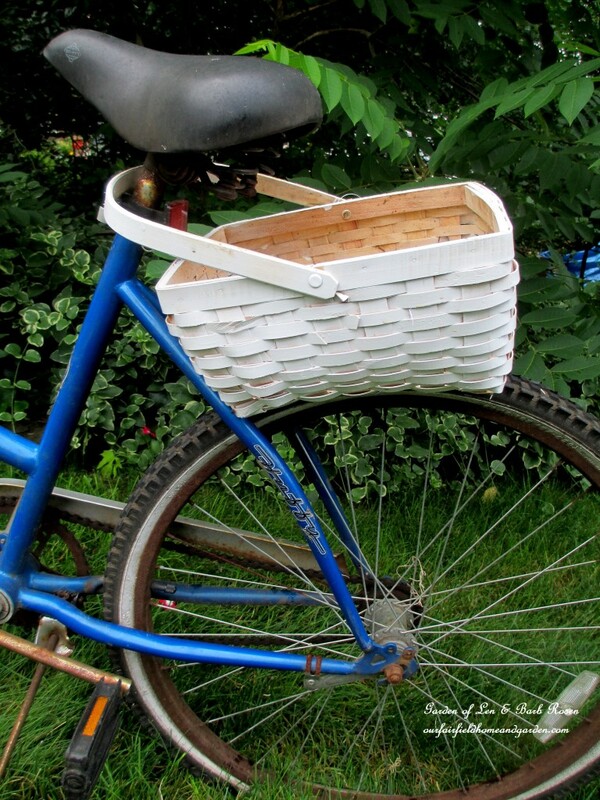 Step # 1 ~ Fit the baskets onto the bike ~ You can put the basket handle over the seat and let it rest on the back wheel. Attach the front basket to the handle bars. 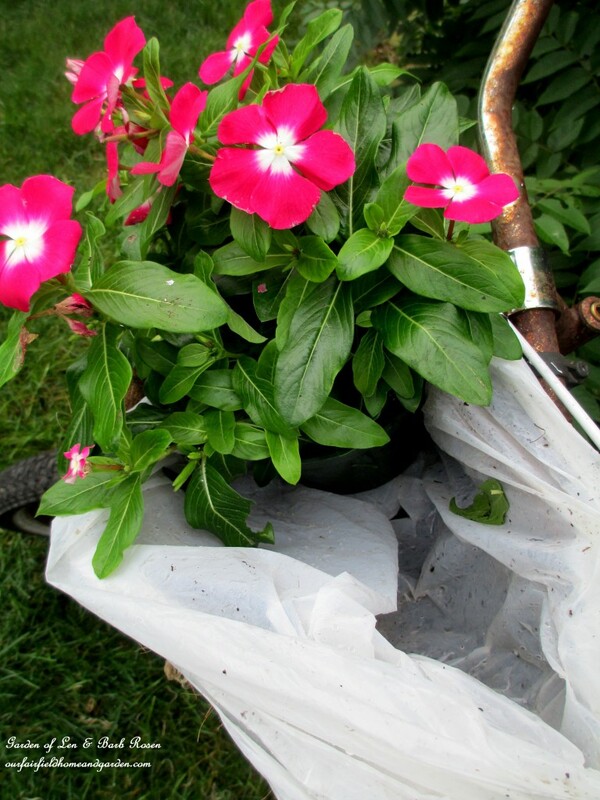 Step # 2 ~ Line the baskets with plastic grocery bags to hold moisture in for the plantings. Tuck in the plants of your choice. 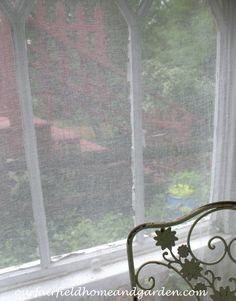 Step # 3 ~ Tuck dried moss around the plants for a finished look. Step # 4 ~ Planting is complete, now we need some streamers! 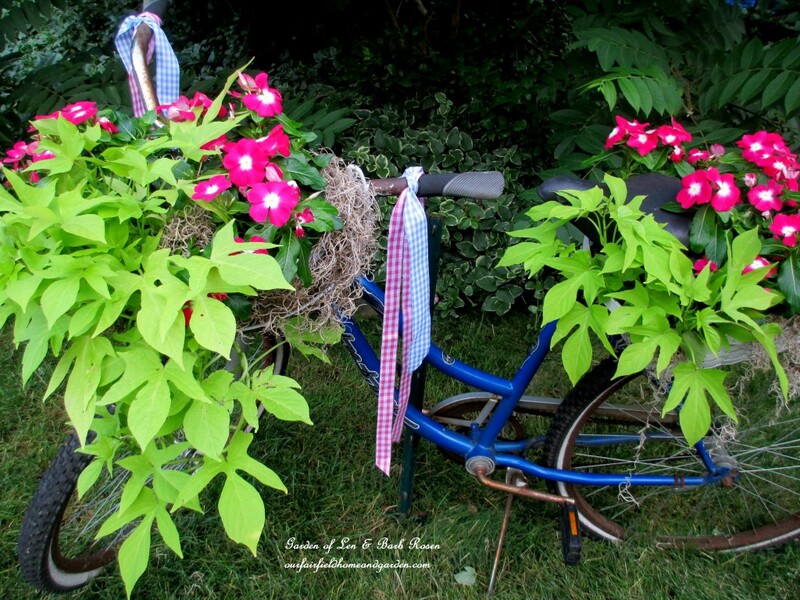 My completed bicycle planter complete with ribbon streamers! Thanks very much for coming by for a visit and taking the time to write, Karen! 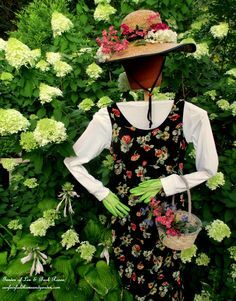 So pleased to hear that you like my gardens and projects! 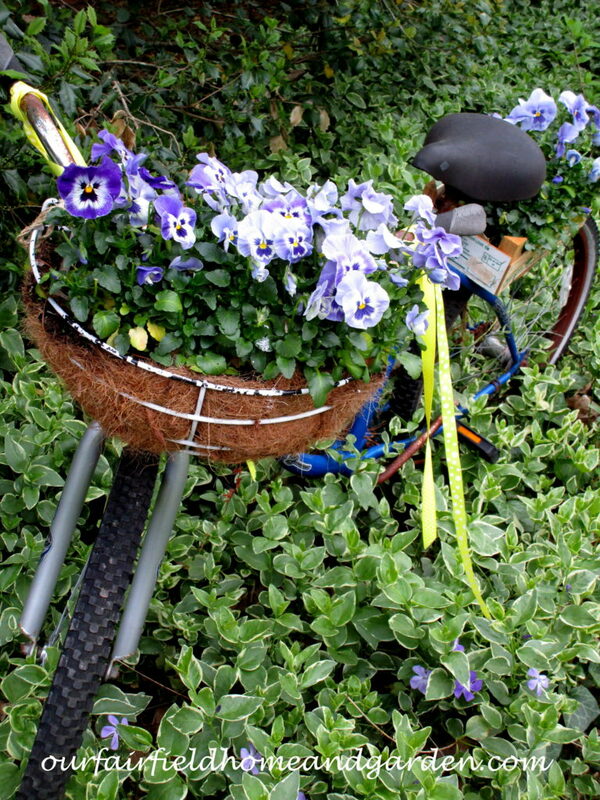 Love the bicycle planter! 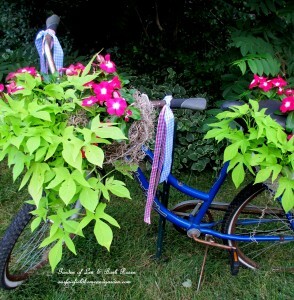 You could use almost any old bike and spray paint it a fun color, what a great idea! Great job Bard! I love it! Makes me want to do one. Other than the kick stand, how do you have it anchored to the ground to keep it from falling over? I put puppy training pads in the bottom of all of my wire and coconut fiber baskets this year. Baby diapers would work as well. We are in the middle of yet another summer drought. No rain to speak of for over a month now and the puppy pads have really helped retain moisture. I am afraid we have had your rain and ours too! The drought tolerant plants I put in last year are drowning! 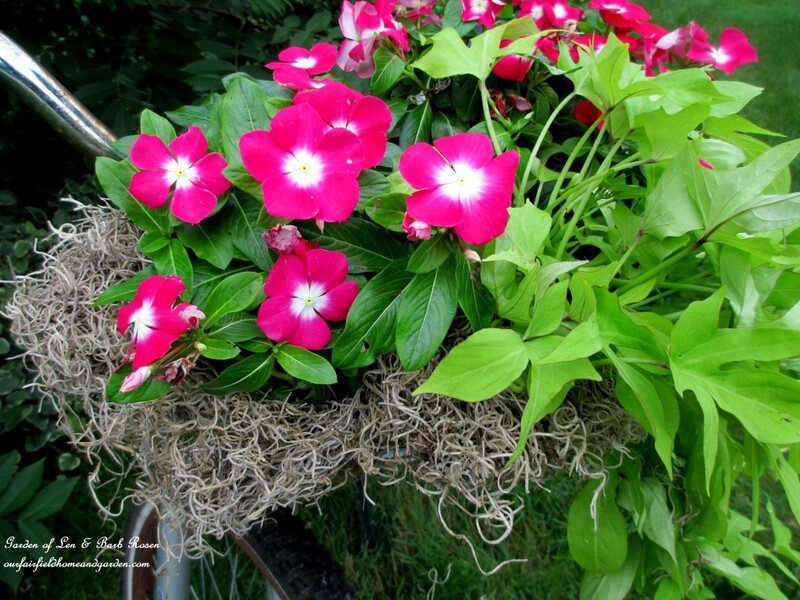 So sorry to hear you are in drought conditions, it takes a lot of the fun out of gardening. Love the puppy training pad idea though and will keep it in mind if we ever dry out again! Now I see the fence post! I have been searching for a bike to do this Barb..You are right..finding a bike is the hardest part..Yours looks gorgeous! Thanks, Nancy! I didn’t want to make a planter out of a bike that was still usable, so finding one took a while. Then along came a rusty bike with a bent frame and I was in business! 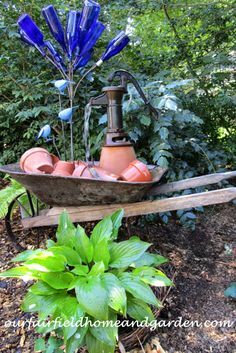 Keep looking, this is a lot of fun to do and perfect in a cottage garden. Our local police department autions off lost bikes every now and again. Many of them are not in great condition. Your local police department might also sell off lost bikes – wouldn’t hurt to ask. Wow! What a great suggestion, Sara! I never thought of that as a source. Maybe we will all be checking in with the local police “Lost & Found” now! Too bad, Diana! Sometimes I have projects that sit awhile waiting to get done too. But I have a garden shed to stash stuff in so the neighbors don’t kick up a fuss! So creative and resourceful! 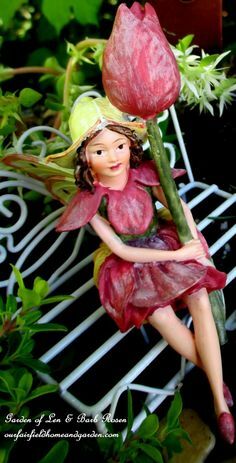 It would be very beautiful attraction in your garden. 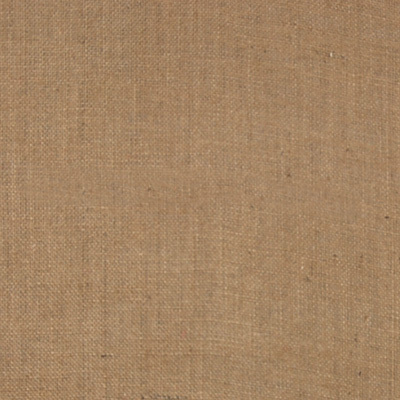 I really enjoying skimming through your blog.